Sorry but it looks like you missed that deal. Better luck next time. Feel free to check out the similar ads below or try your search again. A History of the Town of Fogo, Newfoundland Publication Date: 1997 soft cover. For sale 1/2 acre, mostly cleared lot on a private road, Ethan's Lane, off the main highway with a nice view of the pond. 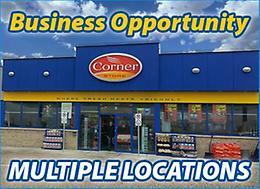 50 minutes from St. John's, 20 minutes from Long Harbour and 35 minutes from Argentia. Very quiet wooded area. The lot has been approved and a free estimate has been completed to install driveway and clear the land including water and sewer development to build your own house. If you are looking to buy a completed house, a turn-key option to build to your specifications can be done as well. Submit your plans for a free estimate. 19” fridge. Used 6 months. Ladies MOP leather chaps and jacket. (M-L) very heavy leather for extra protection. Bought matching gear so selling this set. No scuffs or Mark's. In great condition. 2015 Honda CRF 230 . Bought new in April 2017, from dealer, out of box. Low mileage, (maybe 10 tanks of fuel burned),great shape. Reason for selling... son outgrew it, looking to upsize. Bought new in spring of 2017. Upgraded suspension (sport package), rims, tires. Hard top, windshield with wiper(manual), vynal back, warn wench and factory plow. Low kms(508). Original owner. Reason for selling... Do not use. Bike was $23,500 new , tax in, with above mentioned items.